Light and minimal yet sturdy and durable. Ideal as a reading chair or dining chair thanks to its low arms. 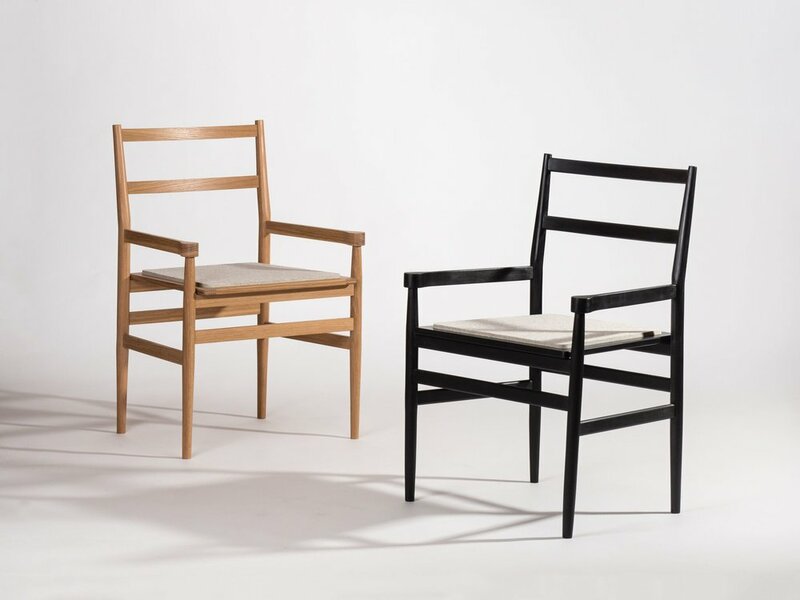 Available in two elegant seat options: woven Danish cord or 100% wool design felt. Made from top quality domestic hardwoods. United by traditional bridal and mortise & tenon joinery. 5mm thick wool felt seating is naturally moisture-resistant and chemical-free.